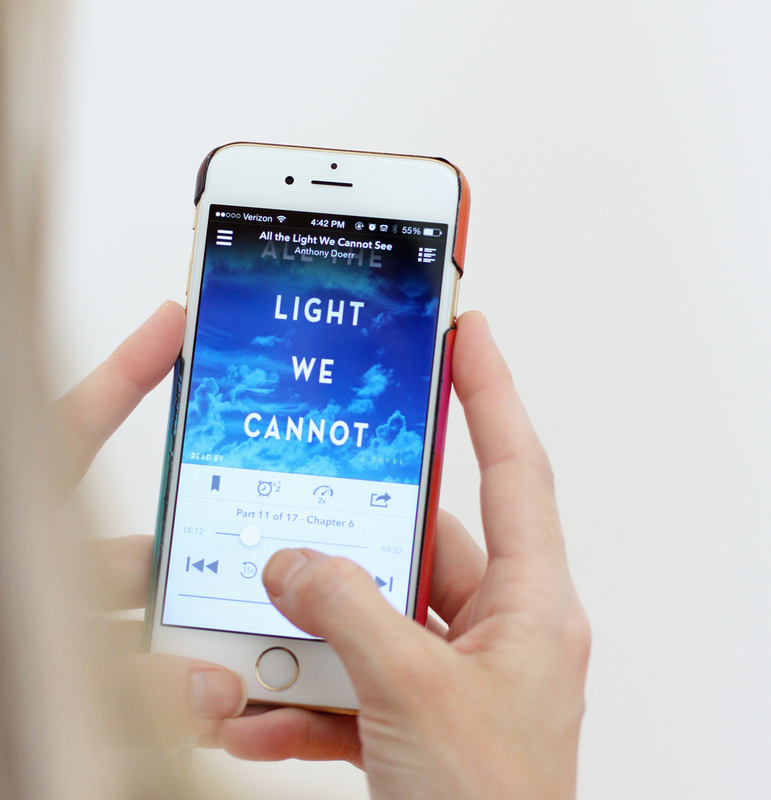 If you’ve been reading this blog for more than thirty seconds, you know I love audiobooks. I love that it makes me actually look forward to mindless tasks like dishes or vacuuming or folding laundry and if I ever get to drive anywhere by myself, it’s a special treat because I can listen to whatever I’m currently in the middle of. Also, if you haven’t listened to an audiobook in a few decades, you’ll be amazed at how good the narration is these days (although, I’ve definitely been the person sitting at a stoplight with tears running down my face or laughing aloud even though I’m by myself). Some books are even done with full casts, with each character read by a different actor, sound effects, and an original score. This is not your mother’s audiobook. 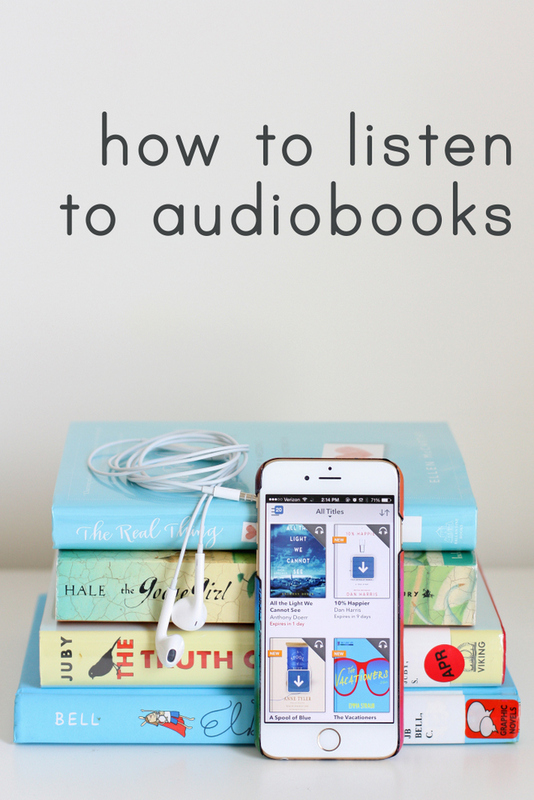 Because I mention them so frequently, I also get a lot of questions about audiobooks – the mechanics of where to get them, how to find ones, and when to listen. Listening to audiobooks is a skill. When I started listening eight or nine years ago to audiobooks, I could only manage the most gripping and fun books. Non-fiction? No. Anything with more plot than a romantic comedy? Not likely. And that was from someone who spent 17 years being read to on a daily basis by my mom (she kept reading aloud with us all the way until I left home). So if you’ve tried something before and weren’t impressed by audiobooks, give it another shot. Start with something really delightful (or maybe something you’ve read in print), and work your way up to harder books if you’re so inclined, although you’ll never get judgement from me about listening to purely fluffy books. Either way, you likely don’t want to start with War and Peace. If you need recommendations, here are 25 of my all-time favorite audiobooks. So where do I find them? Every library system I’ve belonged to (I currently have ten library cards – one big perk of moving so much) has had an Overdrive account. How good the collection is varies from library to library, but I’ve never seen a BAD collection – I’ve always been able to find things to listen to and if there’s something you desperately want, you can ask them to buy it for Overdrive and they almost always will. Just do a Google search for your library’s name and Overdrive, and it’ll probably come right up. You can browse the collection, place holds, make a wishlist, or download them to your computer or device. Plus, all the books are FREE. If you have a smartphone (or an iPod Touch), it’s by far the easiest way to listen. You can download them straight to your phone and then listen to them wherever you go. This tutorial for using the Overdrive app will have you up and running in five minutes (I promise – it’s so easy). Audible is also a great place to get audiobooks, but they aren’t free (although you can get one on a free trial). I also find Audible a great place to browse audiobook options and then go request them on Overdrive. When Do I Listen? I listen when I’m doing mindless work (editing photos, doing a DIY project, taking pictures, etc), while I clean (so. . .almost never), if I’m cooking or doing the dishes, or when I’m driving alone. But I have kids. Right. So that does make it a little harder to squeeze in time when you can stick in your ear buds. I listen during quiet time while I’m working and my girls are safely tucked away in their rooms. I also listen if they’re occupied with their own playing while I’m doing dishes or laundry or getting ready in the morning. And I listen a lot in the evenings once they are in bed. I usually listen with earbuds (just the free ones that came with my iPhone) and so I can still hear them if they call for me or if there is a major argument over a puzzle or something equally distressing. When I get ready in the mornings or if they are in bed, I’ll just listen without headphones, which I prefer. I’ve Heard You Mention Double Speed. Are You Insane? One of the things I didn’t like about audiobooks originally was how slow the narrator talked. My mind would wander and I couldn’t stay focused. After a couple of years of audiobook listening, I tried double speed and my life was changed forever. For the first couple of minutes, it sounded like Donald Duck reading to me, but your brain is really quick to adjust to the faster speed. Give it five minutes and you’ll probably never go back (or start at 1.25 or 1.5 speed). Any questions? Leave a comment and I’ll tell you way more than you want to know, probably – this is one of my very favorite topics. I can't stand to listen to books at anything less than 1.5 anymore, and that's usually when I'm trying to make the book last a little longer because I failed to download another one. Depending on the narrator, I prefer 1.75 or 2.0. There are a few narrators that speak quickly, so I try not to feel bad about myself for not being able to handle double speed. I am so embarrassed that I only got brave enough to use Overdrive or download library books to my Kindle after we moved to Houston. The Houston digital catalog is AMAZING, so it was a good place to discover the wonder of free books. As one of my (many) librarian friends says, "You're already paying for the books with your taxes. Why pay twice?" I haven't bought a fun (i.e., not academic) book in almost a year. I love not feeling guilty about blasting through audio books anymore! I had an Audible subscription before and I was always thinking about whether or not a book was 'credit' worthy. If it was less than about 12 hours worth of narration, I would skip it. I get through so many more books than I used to because I constantly have something to listen to on my 30-45 minute commute, while I fold laundry (seriously, is this not the best? 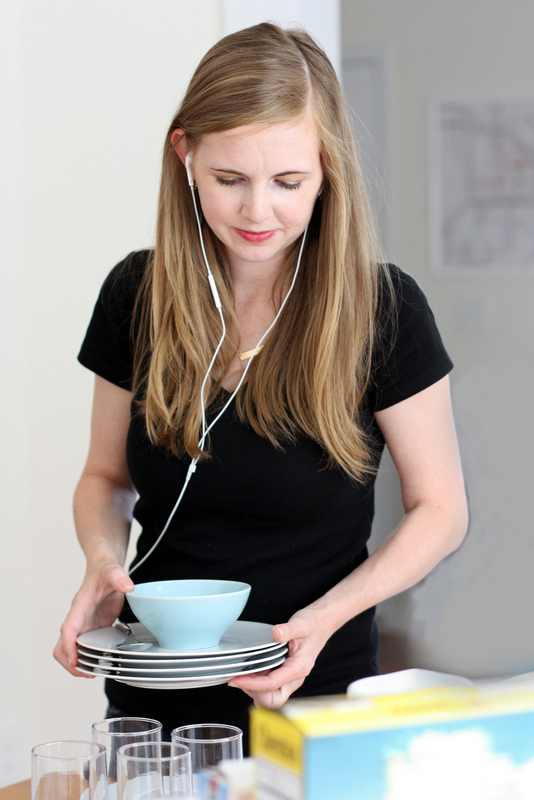 ), do dishes, or otherwise putter around the house. I feel so much more accomplished. 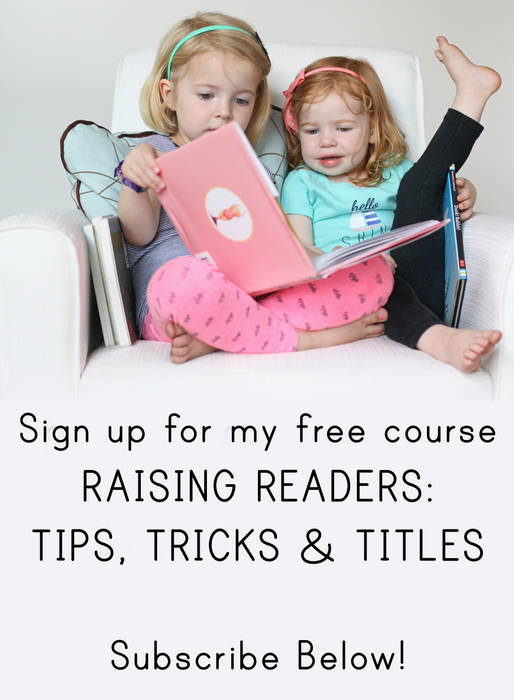 You have played no small part in helping me to discover all of these amazing resources, so thank you! I have only recently started listening to audiobooks, but I find it hard to listen at home not because of the kids but because my husband. Ha! He likes to talk to me as soon as I'm paying attention to something else. It did not occur to me to speed up the speech though – I'm doing this immediately (currently listening to Sarah Dessen Lock and Key, thanks to you). These are all great tips! I had never listened to an audiobook until I started a 40 minute commute to work. The commute is MUCH more enjoyable now. My local library is also using Hoopla and OneClick Digital, in addition to Overdrive. Have you ever used these services before? My library has both of those too, but I have to admit that I've hardly used them! I love audiobooks, but I often find my mind starts to wander, so it's best for me to stick with non-fiction or a re-read. And for whatever reason, if I'm doing something that requires any kind of thought, I just can't seem to pay attention to the book and keep having to go back 30 seconds or so. Any tips for this? Also, how do you listen in your car, do you have bluetooth? I don't (sob), and feel like if I did I'd have so many more opportunities to listen. I use an auxiliary cord to plug my phone into the car stereo, but frankly, most of the time, I just crank up the volume and set it in the cup holder for a little amplification and don't even bother with connecting it to the stereo. I checked out several of the audiobooks you recommended for preschoolers, though, and my five-year-old is LOVING the Boxcar children. I didn't realize I'd left Overdrive on 1.4x from the last time I'd listened to a book and, by the time I did, she thought it was perfect and wouldn't let me change it. Well this is timely. I've never listened to audiobooks but since we're headed on a 12 hour road trip this weekend, I'm pretty sure we need to try them out so I don't have to keep the kiddos entertained the whole way. Shockingly, Chandler doesn't have Overdrive (I'll have to see what they use instead) but Tempe does and I've got a card there. Score! Fellow audiobook lover here, as you know. I've been listening to audiobooks consistently since I was a teenager. I don't think I've ever not been listening to a book for more than a few months. Also, I've been using Overdrive since the dark ages when no one had smart phones and you had to download the audiobooks onto your computer. It was hugely exciting when they finally got the "transfer to iPod" button worked out, and you were no longer tied to your computer. And obviously it's way better now with the smart phone apps. I know that you recommend Cheaper by the Dozen and I have been loving audiobooks lately. My mind used to wander, but now I really prefer to do audiobooks. I am wondering if you think that Cheaper by the Dozen is a must read or if the audio version is okay. I know that sometimes a bad audio version can ruin a book. Thank you! Ha, I actually did read part of War and Peace via audiobook! I praying that the DC public library system never finds out I moved because I'm totally still taking advantage of their digital library catalog. Good suggestion about asking a library to purchase a book; I'll have to do that next time there's something I really want to read but can't get access to. I've had an hour-each-way commute for the last 10 years. At the beginning I resisted audiobooks, but did exactly as #1 suggested…. A lot of Robert Ludlum & Janet Evanovitch's Stephanie Plum. Since I've found your blog I've added much more nonfiction (Love Malcom Gladwell!). I just tried 1.25 speed and it is amazing!! I'm excited to try 2x when I can run outside again- if the pollen count ever goes down! Thank you for all the wonderful hints & book suggestions!! 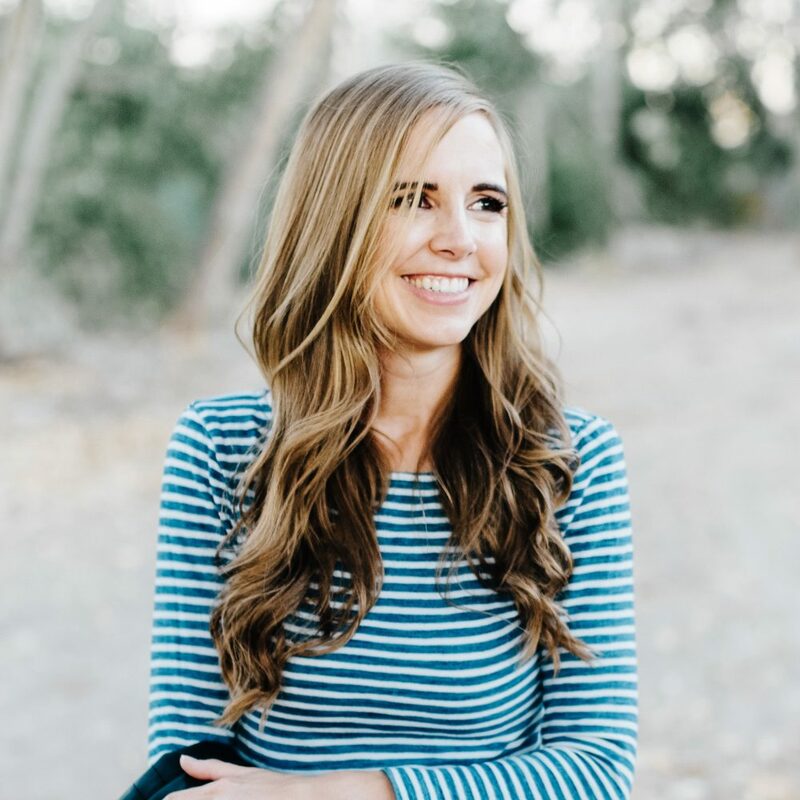 I started listening to audiobooks after reading your blog and I have to thank you! You introduced me to Overdrive and I love it so much I recommend it to anyone who will listen to me 😉 I'm looking forward to introducing audiobooks to my 6 year old this summer. Thank you, thank you for your information and recommendations! I love this! I've been wanting to get more into audiobooks since I've been in the first quarter of Unbroken for over a month now and there never seems to be a good time to pick it up and start reading it again! I'm going to have to switch to audiobooks if I ever hope to finish 1 book this year! I adore audio books! I listen while I knit, work out, on my way to work and sometimes also at work. It's the best! I'd be interested to hear your tried-and-true tips for reading books aloud to your kids of all ages. Picturing your mom reading aloud to teenagers sounds fun! YA Sync, too. Two free, keep forever and never expire audiobook titles a week during the summer. And oh yes.. I'm glad someone else uses overdrive as much as I do. I also get the epub file sent to my kindle when I want to read instead of listen. I love technology. Instantaneous book lending? Yes please! I have some of the same problems you mentioned with audiobook speed. It gets really mind numbing to listen to a book that it just too slow. Often times I find myself skipping ahead of the reader. I'll have to give the 1.5 to 2.0 speed a whirl and see how well I like it. I have a few books on overdrive which is awesome, but the speed ugh! Thanks for the great idea! I’m going to speed it up and hope that helps.